Watch and learn more about the newly developed equestrian discipline of Western dressage from one of WDAA’s founding members, Cliff Swanson. Western dressage is open to all breeds of horses and ponies and incorporates western heritage and tradition while utilizing the principles of classical dressage. In this video, you will learn about the origins, tack, gaits, levels of competition, atmosphere and community, and how to get involved. To learn more about the sport of Western dressage, visit the Western Dressage Association of America website and US Equestrian's Western Dressage page. Cliff Swanson is the trainer and owner of Swan’s Training Stables in Castle Rock, Colo. Swanson has been developing horses and advancing riders for over 40 years. 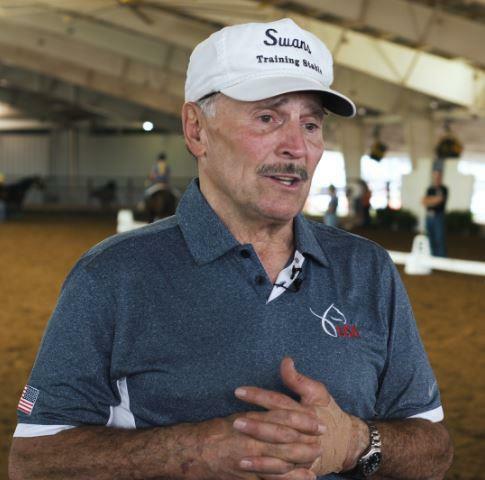 Swanson's knowledge and expertise, step-by-step training methods, and his firm belief in dressage as a foundation for any discipline has made him a sought after clinician throughout the United States and abroad. Swanson is a US Equestrian (USEF) certified judge, having held judges cards in several major breeds including the Morgan and the Andalusian and Lusitano horses. He is a founding member of USEF-recognized affiliate the Western Dressage Association of America® (WDAA), and serves on the WDAA’s Advisory Board. Swanson has implemented many programs designed to develop and advance trainers and horses for the Western dressage discipline. Swanson founded the Smart Start clinics for beginning colts and piloted the skill set series for the Western Dressage Association of Colorado®. Additionally, Swanson is one of the developers of the WDAA Train the Trainers Program and the WDAA Judges clinics, serving as an instructor for both.